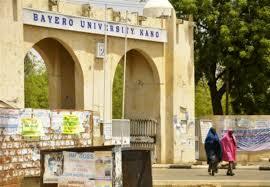 Bayero University, Kano [BUK] Dangote Business School [DBS] Registration Procedures and Guidelines for Fresh/Newly Admitted and Stale Students for 2018/2019 Academic Session. Therefore all Students are to take note that the Dangote Business School Registration has been extended and would close on 30th April, 2019. Please for all enquiries and/or complaints regarding Dangote Business School (BUK) 2018/2019 DBS Registration send an e-m@il to your Faculty Support Admin.